MGS has an extensive Library and Resource Centre located in Winnipeg at Unit E, 1045 St. James Street. It is a self-contained 2400-square foot office space, completely staffed by MGS volunteers. Search their on-line catalogue for material of interest to you. MGS resources include MANI (the Manitoba Name Index), a large database of unique Manitoba genealogical records that is searchable online; indexes of transcriptions on tombstones for about 1400 cemeteries throughout Manitoba, and an early Manitoba newspaper obituary index; MGS Journal (Generations) published quarterly; research assistance by trained volunteers and by an experienced research team for a fee. 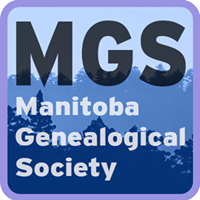 If you have family who settled in Manitoba, or perhaps merely passed through on their way elsewhere, consider joining the Manitoba Genealogical Society today, and help them continue their mission of discovery, collection, preservation and access to family history research in Manitoba. Ontario Genealogical Society members receive membership discounts when joining the Manitoba Genealogical Society. Many early Ontario settlers, or their offspring, headed west in search of land, gold and other riches. Follow your ancestors or their families to Manitoba.